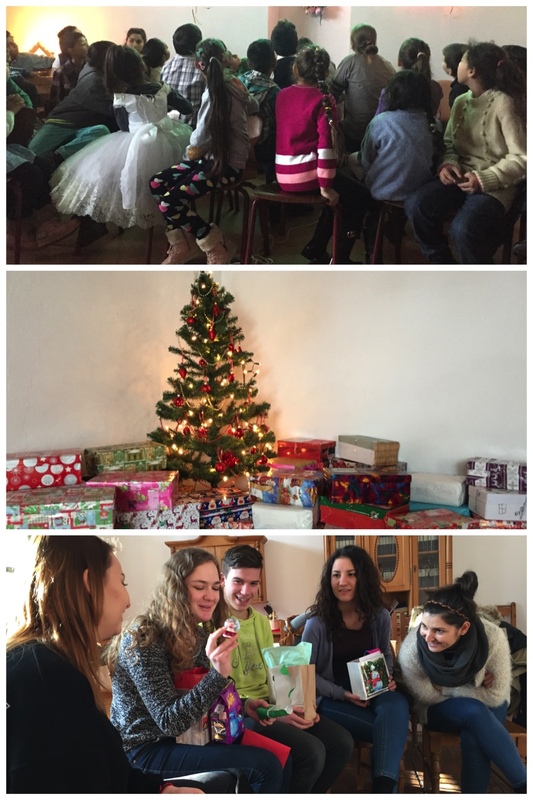 Another Christmas in Romania. I think I might have said this in another blog post, but it's so interesting to celebrate holidays for a second time in Romania. I knew that coming here wasn't going to be a short-term thing for me, but I never thought about how long I'd actually be here. And I didn't think about the fact that I'd be celebrating holidays over and over again. While it doesn't get any easier being away from home, I do have FaceTime to thank for allowing me to be with my family and friends during these holidays. December is a very busy time for Veritas, and for the community of Sighisoara in general. For the last 16 years (I think), Veritas has hosted an Ecumenical Concert where local choirs all gather together to sing songs related to celebrating Jesus' birth at Christmas. I didn't get to attend last year for some reason, but I really enjoyed it this year. 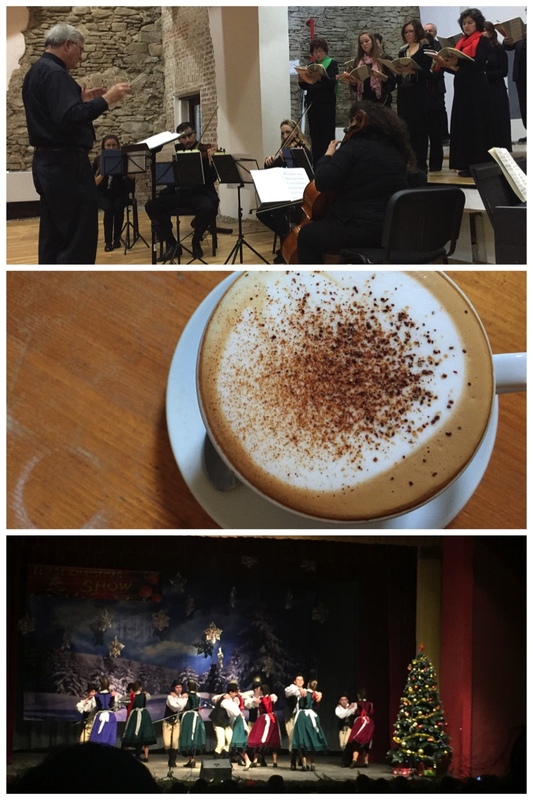 There were also other concerts, high school Christmas shows and lots of coffee this Christmas season. Veritas also hosts the Candlewalk, which is another lovely community event. It takes place in the citadel with stops at the Monastery Church, town hall, one of the high schools and the Church on the Hill. At each stop, we pray and sing a Christmas song, and we end the evening at the House on the Rock for tea and cookies. My favorite part takes place at the very beginning, the opening per se, when Matthew 5:14-16 is read in Romanian, Hungarian, Țiganește (the gypsy language), German and English by various community members. It's so simple. Just five people reading three verses, and yet I find it so incredibly powerful. I love that the event begins this way to encourage each person who attends to be a light in our community of Sighisoara. 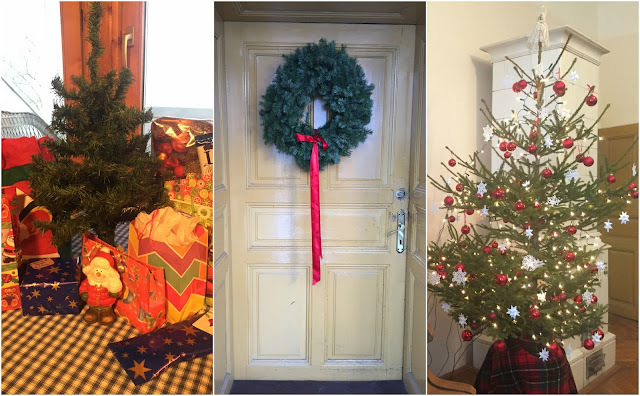 And of course, the various Veritas programs have Christmas celebrations. 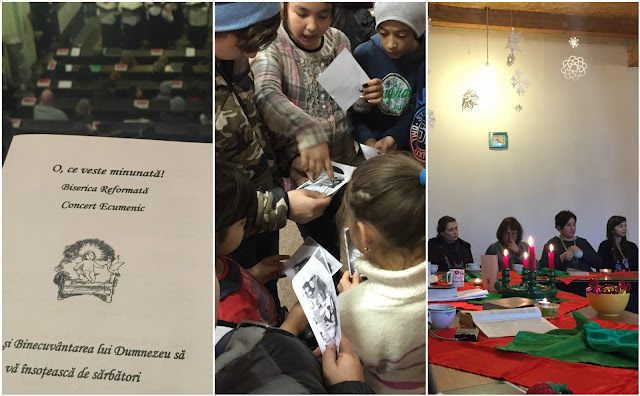 We had our Kids' Club Christmas program on the 15th, and it was so lovely. For as long as I can remember, children's Christmas programs have always turned me into such a sap. I'm not exactly sure why, but good grief, I cannot handle it. Anyways, my kids put on a fabulous Christmas program with memorized lines, songs, and Christmas cheer for their families and friends. The children, families and Veritas staff also enjoyed viewing a slideshow of photos that I put together of Kids' Club activities from September to December. I loved how much they loved looking at all of the photos. These simple things make my heart happy. I also had the privilege of sharing the Nativity story with my kiddos at Kids' Club. I asked one of the boys, who is an excellent reader, to read the story out of a children's Bible while I showed some photos as the visual. He did a fabulous job and I was so proud of him. The kids applauded him when he was done and I only wish I had a photo of his face in that moment. I also celebrated Christmas with Adela and our new It Takes Courage group. Our Christmas party fell during a very, very busy week for the teens so only a few showed up, but we still had a good time. We also took our other It Takes Courage group, now called 2.0, to Sibiu. 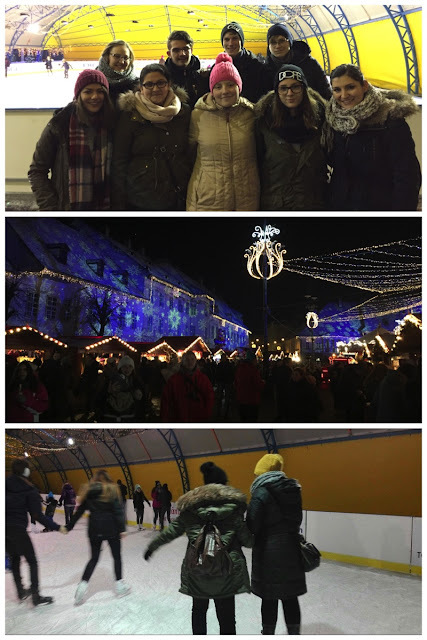 We went ice skating, which is/was one of my biggest fears. I've always had an irrational fear that I'm going to fall and someone is going to skate over my fingers and slice them off ... not so irrational, but I've obsessed over that thought for years! Anyways, I ice skated and DIDN'T FALL ONCE! It was a Christmas miracle. After ice skating, we went to the Sibiu Christmas market, which was so beautiful. We walked around, looking at all of the little booths, and enjoying the Christmas atmosphere. I spent Christmas Eve, Christmas Day and the day after Christmas with my friends, Tim, Caroline and their kids (the same family I spent Christmas with last year). There's nothing better than being in a cozy home full of kids on Christmas. AND they just had a sweet baby boy at the beginning of December to add to their growing bunch, which meant lots of baby cuddles in cute Christmas pajamas! We had lots of fun and unforgettable moments, some of which made it on to the video camera's recording to be preserved for years to come. Or to be used as blackmail later in life...either way! On Saturday, I snuck out to attend our Christmas Eve service at church, which was quite lovely. I invited one of the boys from Kids' Club to come along, and he did. It was so special to be able to sit with him and listen to the true Christmas story being told, with lots of Christmas songs in between. After taking the boy home, I returned to the family's house for our Christmas dinner and a viewing of The Nativity Story. Once the kids went to bed, I helped Tim and Caroline wrap the remaining Christmas gifts, which is always exciting. 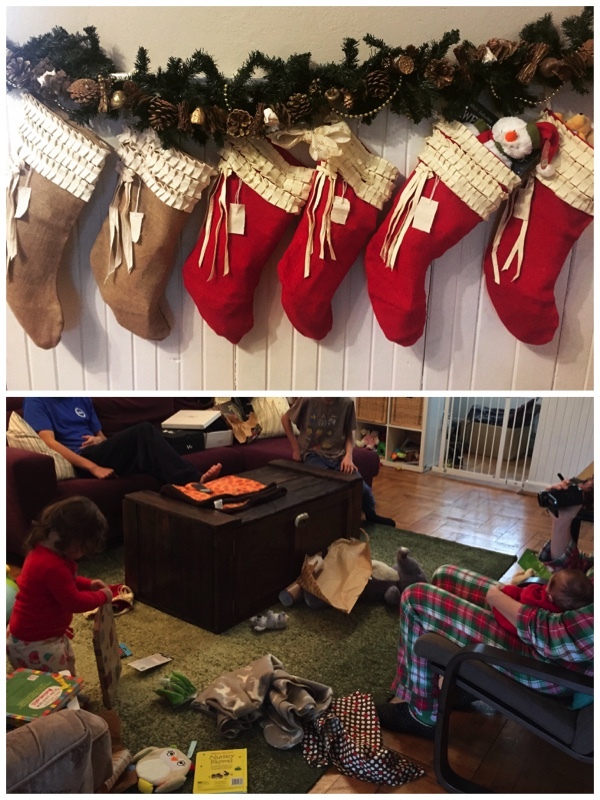 We had an enjoyable, and surprisingly not too chaotic, Christmas morning full of special gifts for all. Anyways, back to the Christmas Day activities. After our Christmas morning, we ate cinnamon rolls and sausage for breakfast, followed by their tradition of cinnamon rolls IN chili for lunch. Yes, you read that right ... and it is DELICIOUS. Just drop a cinnamon roll in your bowl of chili and you're good to go! This family attends another church in town, where a few of my other friends go as well, so I tagged along for the Christmas day service at 5pm. After church, we went back home and celebrated Tim's birthday, as he is a Christmas baby. And then, the day after Christmas was spent relaxing, playing with new toys and games, and just spending time together. Even though it was a busy December, I enjoyed participating in all of it. From buying small gifts for my Secret Angel at Veritas, to eating cozonac and lots of clementines, to walking around in a beautiful and snowy Sighisoara ... this Romanian Christmas was one for the books. Or should I say, "one for the blogs" now?